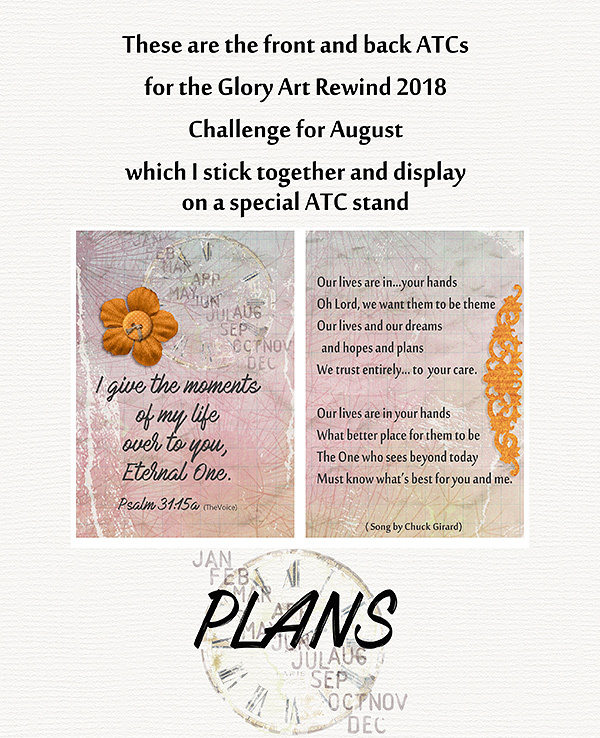 I have got behind with the Scripture Challenges that Patter Cross hosts on her blog which you can find HERE and I do hope to catch up on two that I have missed being "anchor" and "strength". 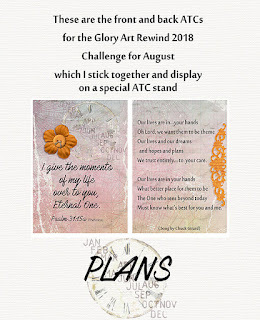 For this August challenge of "Plans", I chose to work with the first scripture that Patter shared being Psalm 31:15 . When I read it in The Voice version of the Bible it really spoke to me that it is not our days we are to give to the Lord it is our "moments". The song I have shared by Chuck Girard is the song played as I walked down the aisle on 12th September 1992. I will share a youtube so you can all listen to the song. Here is my artwork using an old digital kit called "Sweet Endings" by the designers at Digiridoo which is a store that closed some years ago. 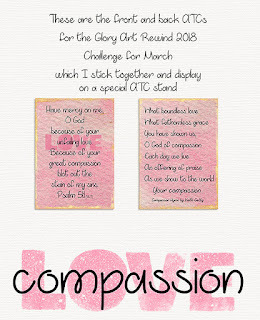 Please visit the blog of Patter Cross HERE as she is the one who hosts this challenge and shares some very encouraging and inspiring teaching each month. 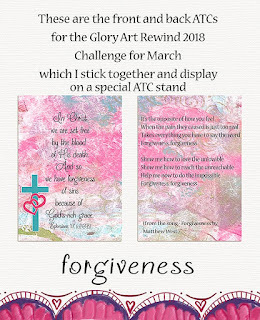 If you have not already please visit Patter's blog HERE so you can read her great teaching on the theme of forgiveness. The timing for Patter's teaching was perfect for this as my husband and I have recently changes where we worship on Sunday. 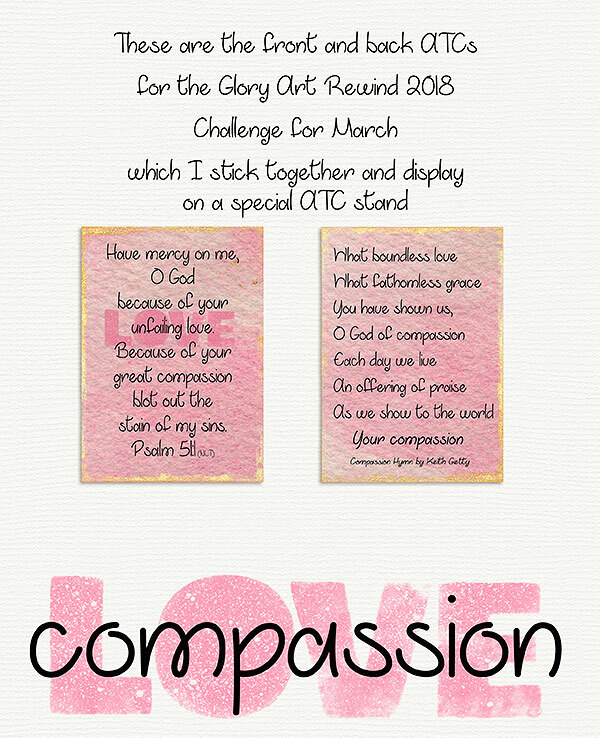 We realised we were just "warming seats" on Sundays and now we are worshipping with people who are on fire for reaching out to the lost in love and compassion. Digital products used are mostly by Paula Kesselring. 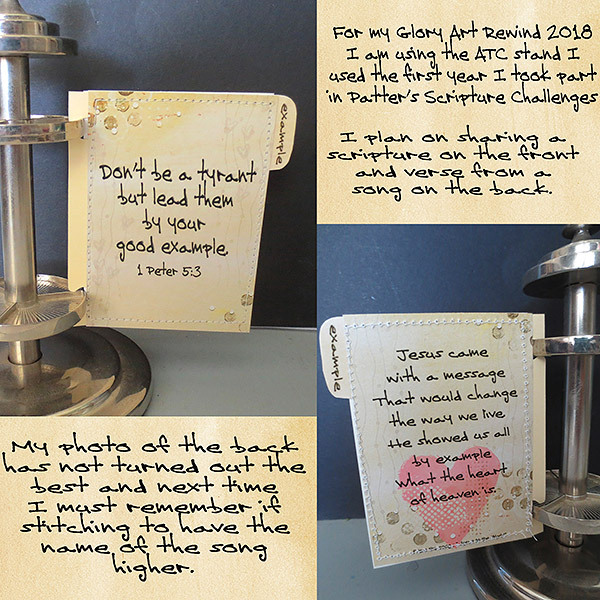 This year Patter has decided to revisit some of her challenges from past years and share again those thoughts and add more teaching to them. 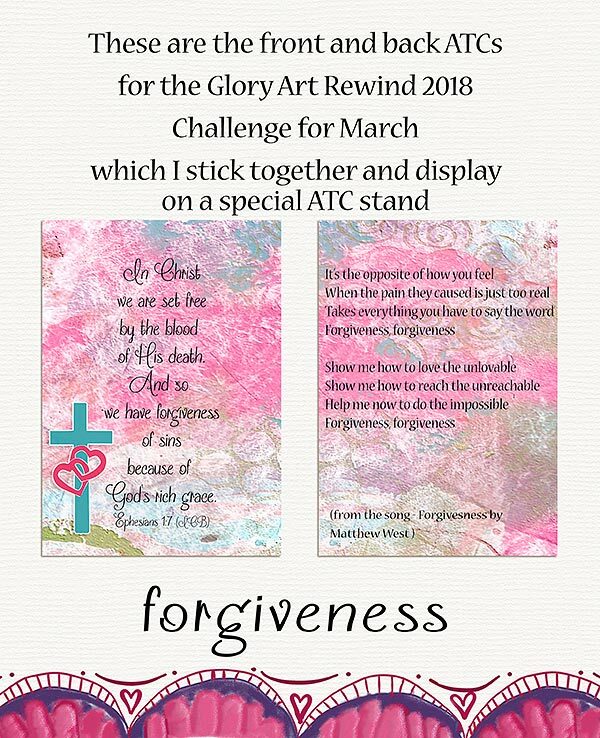 This year for my art I going to do some hybrid ATCs - front and backs and display them on the stand I bought and used for the very first Scripture Challenges I took part in with Patter back in 2008 - wow! that is 10 years ago. Where has that time gone? On this first ones I used my rubber stamps just lightly using Versamark stamp pad. I like to dig out my old stamps and make use of them. The song I found to share on the back of the ATC is one I had not heard of before and I really like the words. 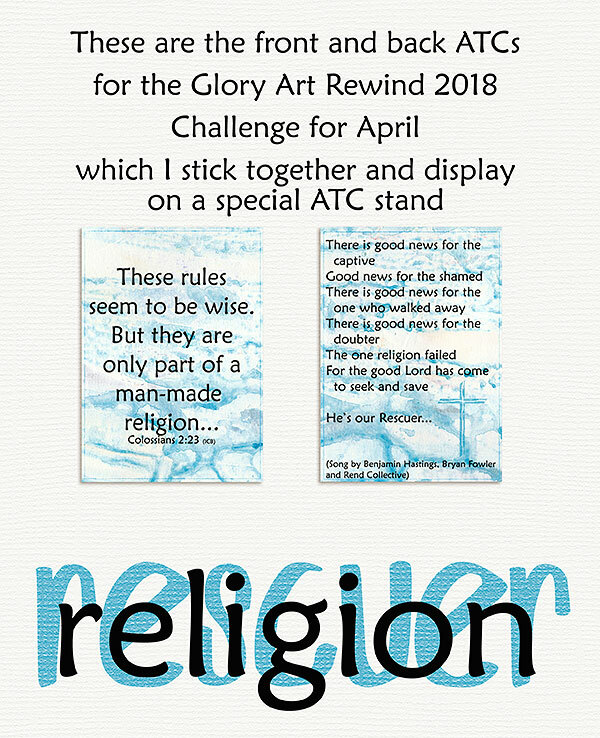 I will share a link to the Youtube video and if I can I will also share the words. For my digital art I used a paper by Kim Jensen and splatters by Tangie Baxter. 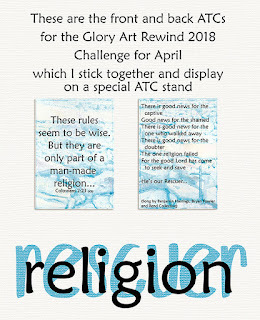 This is the last Glory Challenge for 2017. For those who visit this blog... my prayer for you is that your Christmas Celebrations be safe and full of happy memories and may 2018 bring you all good health and blessed times. 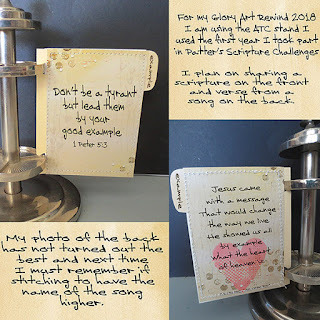 If you have not already visited Patter's blog HERE , please do so as her teaching for this challenge was so well timed for myself . 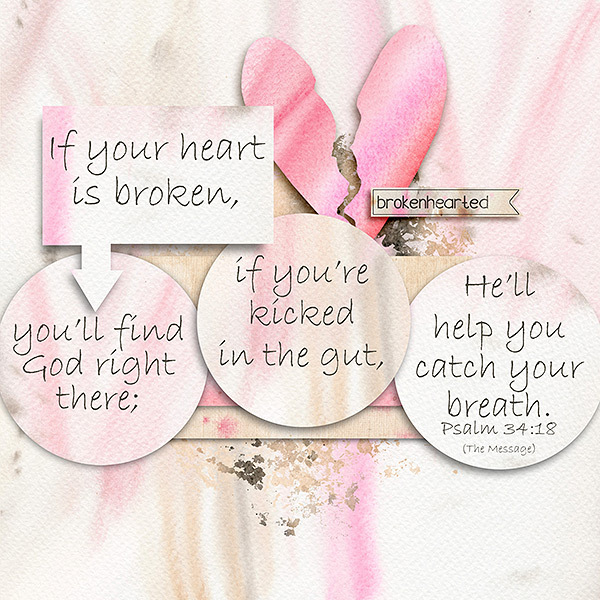 I was feeling a little brokenhearted at the time and Patter's words of wisdom really helped pick me up.